Super Snack! Spicy Chickpeas - Let's Do Keto Together! 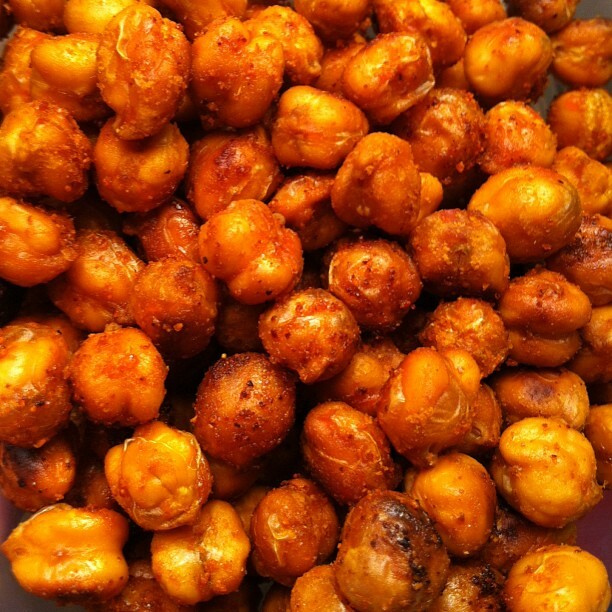 These chickpeas are low cal, spicy, and the perfect snack when you are looking for some crunch. Mix the spices and olive oil together in a large bowl; add in chickpeas and toss together. Place mixture in a single layer on a parchment covered baking sheet. Bake at 400 degrees for 30 minutes. Take out and let the chickpeas cool. Place in the oven for another 15 minutes. Let the chickpeas cool and enjoy! Next Post Mango Chunk Lime Protein Pops!